This year's Royal Academy Architecture Prize has been awarded to Elizabeth Diller and Ricardo Scofidio, founders of Diller Scofidio + Renfro. Awarded annually to architects whose work engages the public and contributes to culture, the prize recognises the duo whose studio's portfolio includes The Broad art museum in Los Angeles and The Shed in New York. They become only the second recipients of the prestigious new award, following the inaugural winner Japanese architect Itsuko Hasegawa. Diller and Scofidio were chosen for the award by a panel that included Stanton Williams co-founder Alan Stanton, Sauerbruch Hutton co-founder Louisa Hutton, director of LSE Cities Ricky Burdett, broadcaster Kirsty Wark and Lesley Lokko, head of the Graduate School of Architecture at the University of Johannesburg. Jury chair Stanton said the decision was unanimous. "The Royal Academy Architecture Prize recognises a practice at the height of its powers who are leading voices for imaginative urban and environmental design and are an inspiration to architects of all generations," he said. Elizabeth Diller said the recognition from the Royal Academy of Arts (RA) had prompted reflection on the early work of Diller Scofidio + Renfro. The architects started working together in 1981. Diller Scofidio + Renfro famously designed the New York's High Line, but the studio's earlier work was more experimental, with installations and interventions that featured traffic cones, electronic parasites and a table with an orbiting ashtray. "We started as dissidents, challenging architecture as a self-contained discipline and probing its intersections with other cultural forms using a large toolkit of media," said Diller. "A combination of naiveté and determination allowed us to realise some challenging projects over time but it was not until our collaboration expanded to include new partners and a growing staff that we were truly able to push architecture's untapped agency and convert provocations into meaningful action in cities and institutions," she added. The pair attracted worldwide attention in 2002 with their Blur Building, an immersive structure shrouded in fog that created its own weather system. Diller Scofidio + Renfro are currently working on a revamp of MoMA in New York and the London Centre for Music, a new concert hall at the Barbican. The 2019 Royal Academy Architecture Prize is one of a number of high profile recognitions the New York-based architect has received recently. Diller was awarded the Jane Drew Prize 2019, and was named one of the world's most influential people by Time magazine. The prize is part of a drive from the RA to build on the gallery's architecture offering to the public. Supported by the Dorfman Foundation, the RA is hosting exhibitions, debates and lectures on architecture, as well as a prize for emerging global architecture talent. Finalists for the Royal Academy Dorfman Award, given to an international architect whose work represents the "future of architecture", have also been announced. Mexican architect Fernanda Canales, founders of Irish practice TAKA Alice Casey and Cian Deegan, founder of Niger-based practice Atelier Masomi Mariam Kamara, and Boonserm Premthada, founder of the Thai practice Bangkok Project Studio, have all been shortlisted. The winner will be announced at the Royal Academy Architecture Awards Week, which runs from 13 to 17 May 2019. 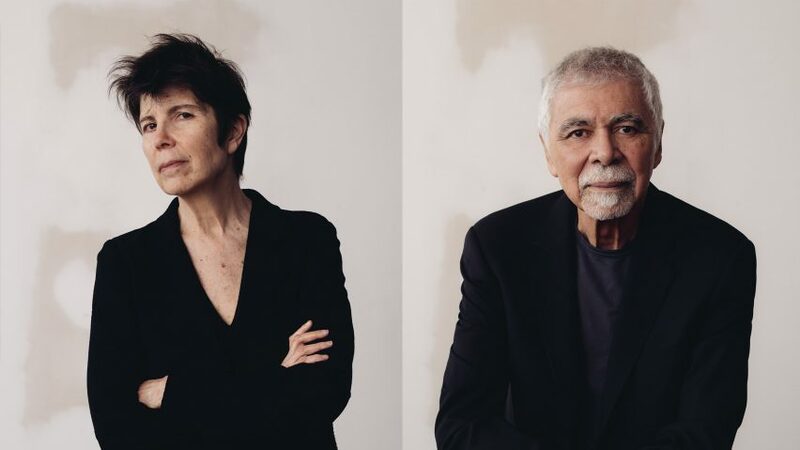 Elizabeth Diller and Ricardo Scofidio will also give an address during the week-long celebration.